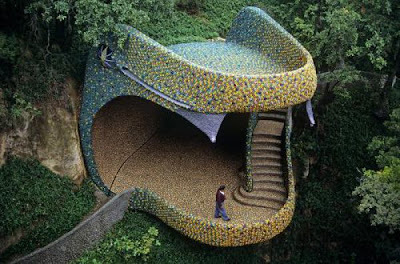 We have heard of being in the belly of the whale, but have you ever thought about being in the belly of a huge snake? 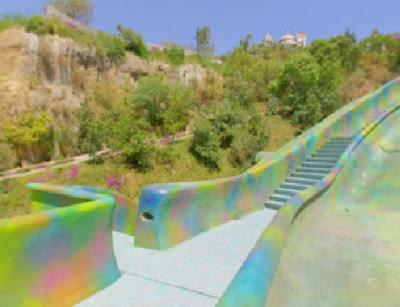 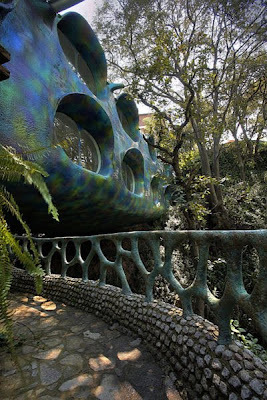 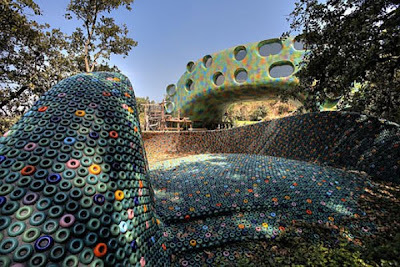 Javier senosiain has, and created this house. 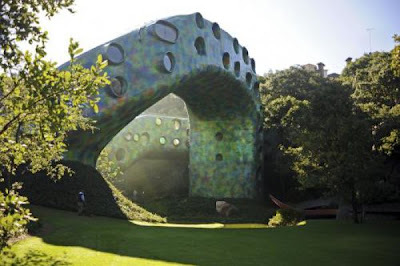 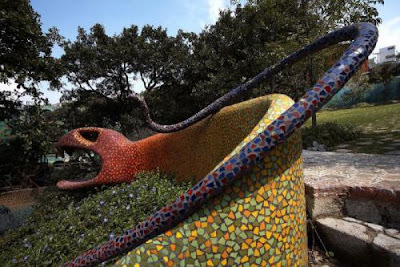 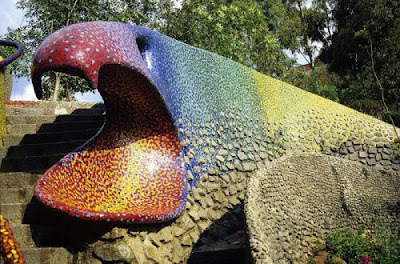 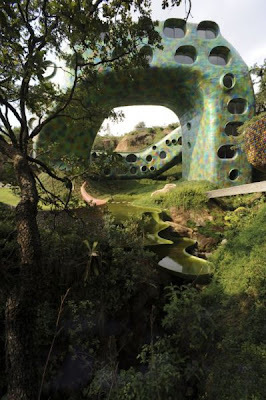 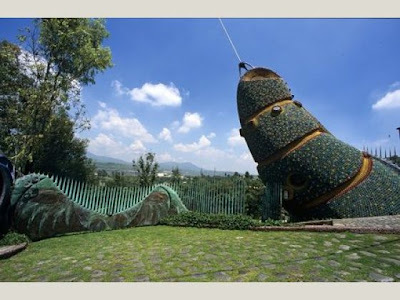 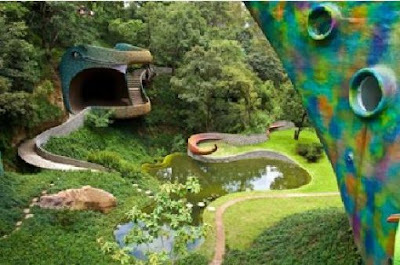 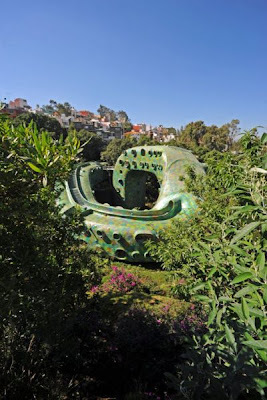 He calls it quetzalcoatl nest, which is the name of an aztec snake/bird god of knowledge and learning. 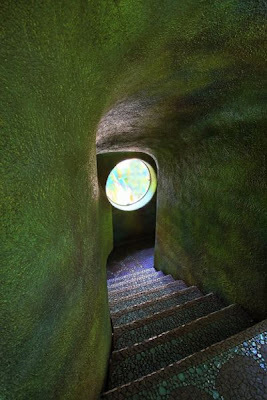 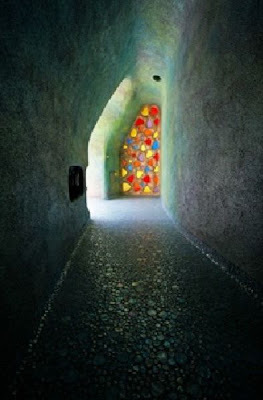 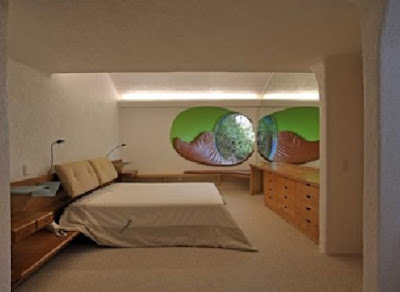 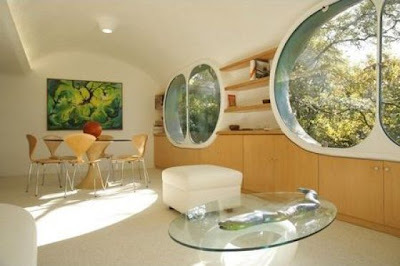 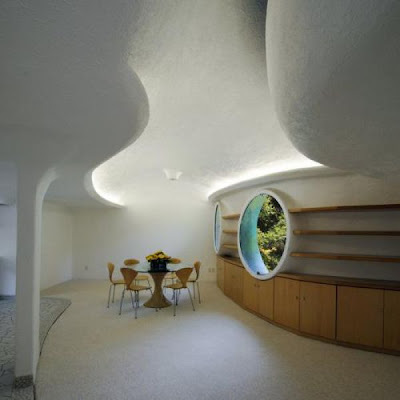 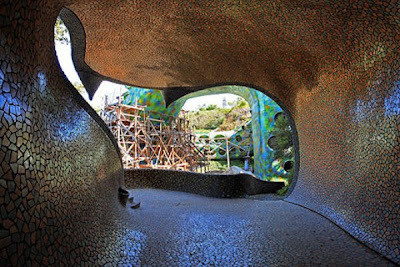 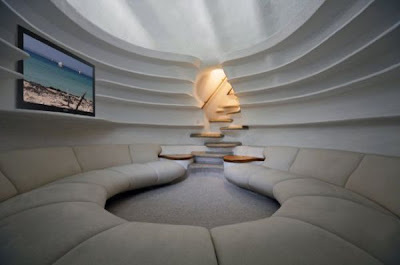 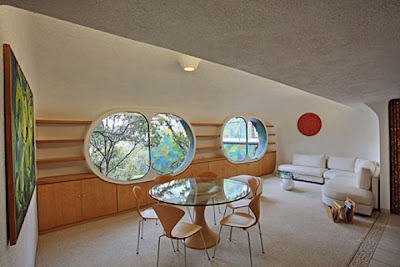 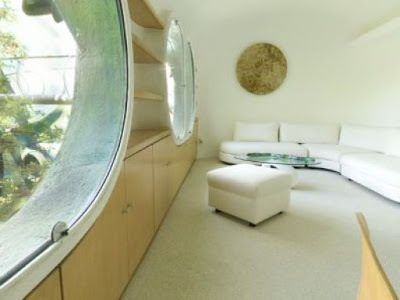 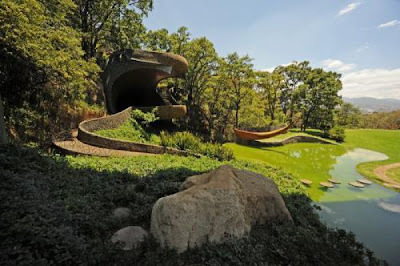 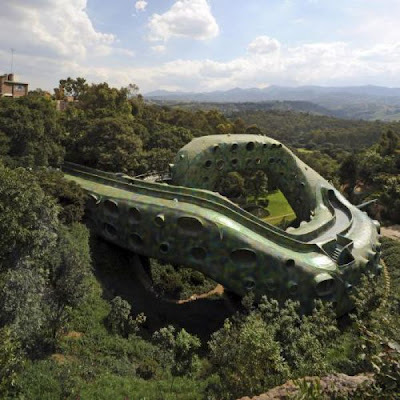 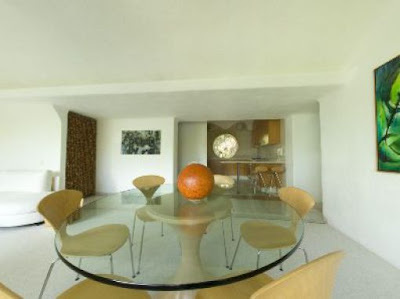 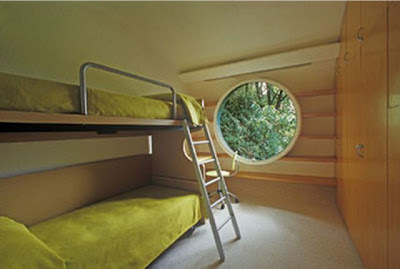 The snake belly house is built on land that includes caved in caves, and larger preserved caves. 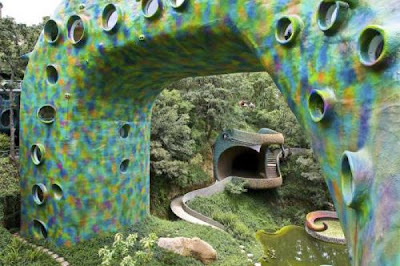 When creating this piece of architecture javier wasn’t allowed to touch the flora or fauna so the snake twists and turns with the lay of the land.